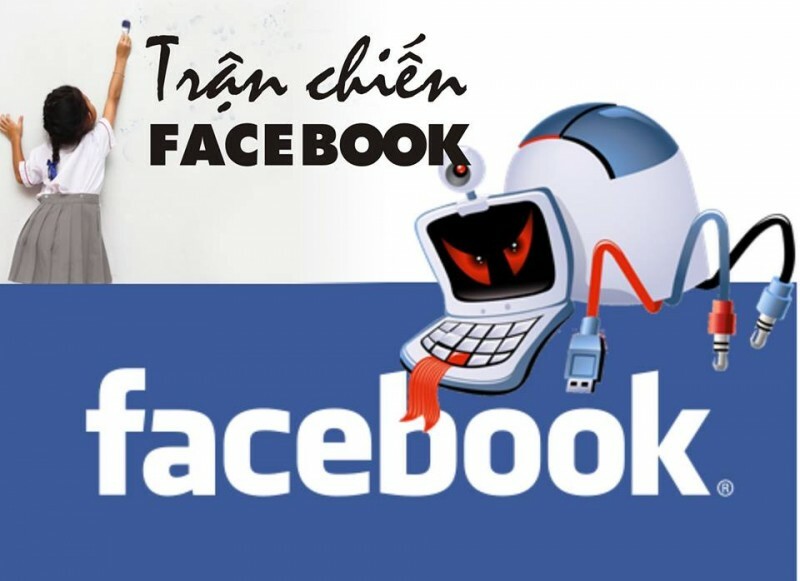 In recent weeks, well-known Vietnamese activists have found themselves suddenly unable to log in to their Facebook accounts. Their personal pages have been suspended for “abuse” even though there was no apparent violation of any Facebook policy. According to Angelina Trang Huynh, who temporarily lost access to her Facebook account earlier this month, the culprit is the Vietnamese government’s online army, known as “opinion shapers” (dư luận viên). These opinion shapers used Facebook's “report abuse” system to orchestrate an onslaught of reports that likely led Facebook to suspend the targeted accounts. With 25 million Vietnamese users, Facebook is the social network in the country. Since Facebook took off in Vietnam in 2009, authorities have tried unsuccessfully to restrict its explosive growth and role as a medium for free expression. Early attempts by authorities to block Facebook did not succeed and only encouraged netizens to learn how to circumvent and became versed in civil disobedience. 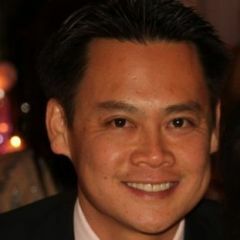 In 2013, 30-year old Dinh Nhat Uy was the first Vietnamese activist known to be arrested for his activities on Facebook. He was convicted for “abusing democratic freedoms” through status updates calling for the release of his younger brother who also used social media to express dissent. Uy’s arrest sparked widespread attention but did not temper enthusiasm for using the social network for political discussion and organizing. It appears that Vietnamese authorities have given up on totally blocking Facebook. The country’s economy and image depend on authorities maintaining some semblance of an open Internet. However, through “opinion shapers” authorities apparently hope to achieve their goal of stifling free speech. This online army has been blamed for creating an environment of intimidation and harassment, as evidenced by their tidal wave of toxic and profanity-laden comments. By flagging an account en masse, not unlike a distributed denial-of-service (DDoS) attack, these government henchmen can quickly trigger the takedown of a Facebook profile or community page with content critical of the Hanoi government. 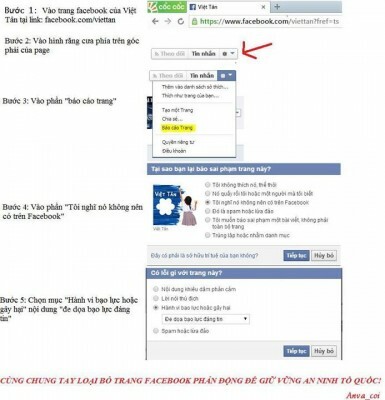 The Vietnamese communist police recently have developed a new tactic against dissident Pages on Facebook, which is to “report abuse” under Facebook’s policy. Police and the pro-government “opinion shapers” create thousands of fake report cards to report on such Facebook Pages at the same time, labeling them as disseminating “hate speech” or “inappropriate content”. Offline, the authorities wield security police to physically abuse peaceful activists. Online, they use ‘opinion shapers’ to silence bloggers. Does the Vietnamese government really think they can get away with this abuse? The issue stems when something falls under libel, defamation or cyberbullying. For instance, on Facebook you have usually teenagers creating fake FB pages to torment another child. That goes beyond what free speech is. The thing with this story is though Facebook has a team to review and remove content. If something is not hate speech, simply don’t remove it. The internet has admittedly breeded way too many cowards. I don’t have a real problem with how Facebook or Twitter does things (with a few exceptions) because they do seem to make an effort. The bigger issue is some of the other sites such as one called Topix, that doesn’t even make their users register and doesn’t moderate anything. It leads to a cesspool. The truth is somewhere in the middle. You need an accurate way to report abuse, a registration system, and some moderation (a free for all runs good users off). Thank you Duy Hoang the who brought this story into the sun.